When violin, saxophone, kaval and jew's harp meets techno the result is a unikue electronic music rich in folk, jazz and classical music elements. On a summer evening in 2004, following only a few days of preparation, a bunch of friends performed an improvised liveshow under the name Pues Nada in the Csíkszereda (Transylvania) based coffee-shop Tilos. The event proved so successful, it encouraged–or rather–cried for a follow-up. The concert’s smooth jazz-flavoured world-music tunes turned into contemporary dancefloor vibes and rythyms creating a unique blend of various styles and instrumental harmonies. The follow-up band Tündérground got its permanent crew complete with a violinist and a guitarist in the spring of 2005 and have since then become well-known after performing a number of concerts both in Hungary and Romania. The band plays solely instrumental music including the unique tones of Kaval Jew’s harp, violin and flute.  Their songs feature a wide spectrum of musical trends, anything between traditional folk music, art rock and drum’n’bass. 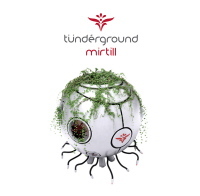 So far Tündérground has only been performing live and has just released its first album Mirtill under the label Folkeurópa making the band widely available for many. The band performed its first stage performance on the new album in a Szeged University club on the 16th November 2007 followed shortly by the second concert at the III. Hangvető festival in Gödör Club, Budapest. Tündérground has staged around 50 live performances in the past three years, mostly appearing in festivals and clubs. Some of these include Gödör Club and Sziget Festival in Budapest, Félsziget Festival Marosvásárhely, Club B52 and Gossip Bucharest, concerts at Sepsiszentgyörgy and Tusnádfürdö (Transylvania), Stufstock4 Festival at the Black Sea, other festivals at Tokaj, Lake Balaton region, Sziget and Szeged. The SZIN festival in the south-eastern Hungarian town of Szeged hosted the band both in 2006 and 2007 and it is this 2007 open-air concert that has been released in their frist album Mirtill. The band’s latest performances include another festival in Szeged and a New Years’ Eve concert in Budapest featuring the band Napra.